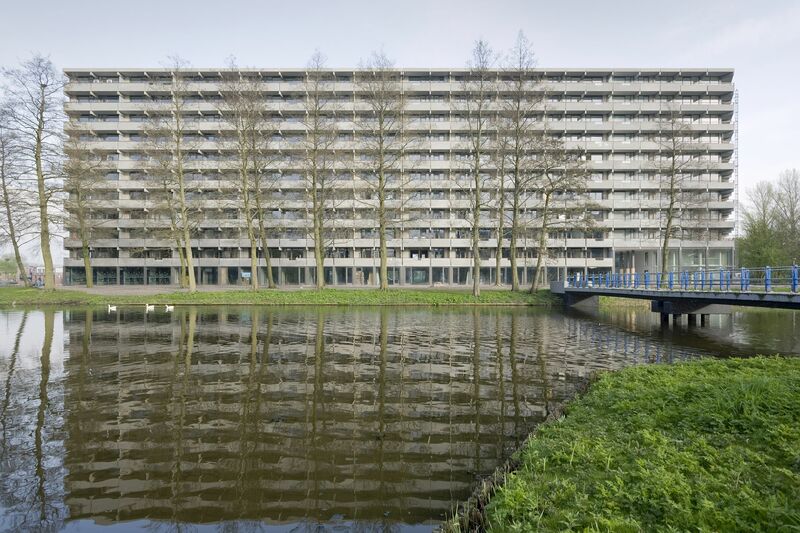 Kleiburg is one of the biggest apartment buildings in the Netherlands: a bend slab with 500 apartments, 400 meters long, 10 + 1 stories high. 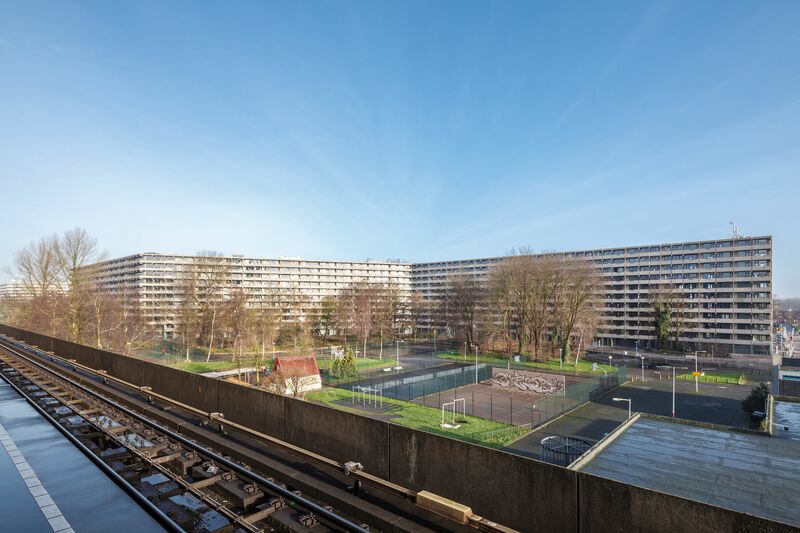 Kleiburg is located in the Bijlmermeer, a CIAM inspired residential expansion of Amsterdam designed in the 1960s by Siegfried Nassuth of the city planning department. 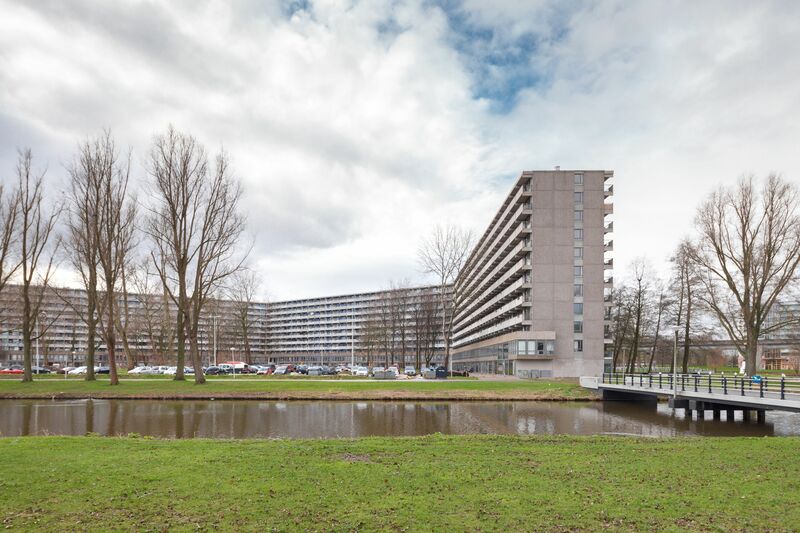 De Bijlmer was intended as a green, light and spacious alternative for the inner city, which was degraded at the time. The Bijlmer was designed as a single project, a composition of slabs based on a hexagonal grid, an attempt to create a vertical garden city. Traffic modalities were radically separated: cars on elevated roads and bicycles and pedestrians on ground level. They would no longer share the same space. 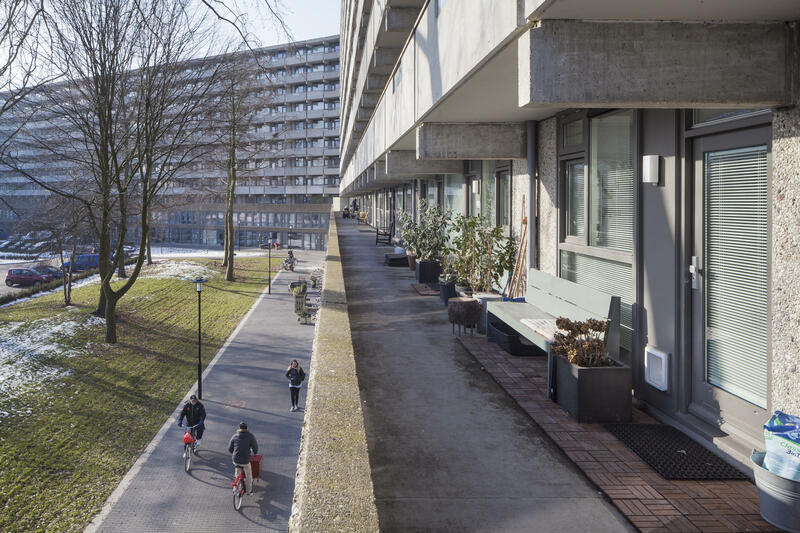 The Bijlmermeer had a very optimistic start, but soon the enthusiasm for this radical residential area was overshadowed by fear for the unknown. 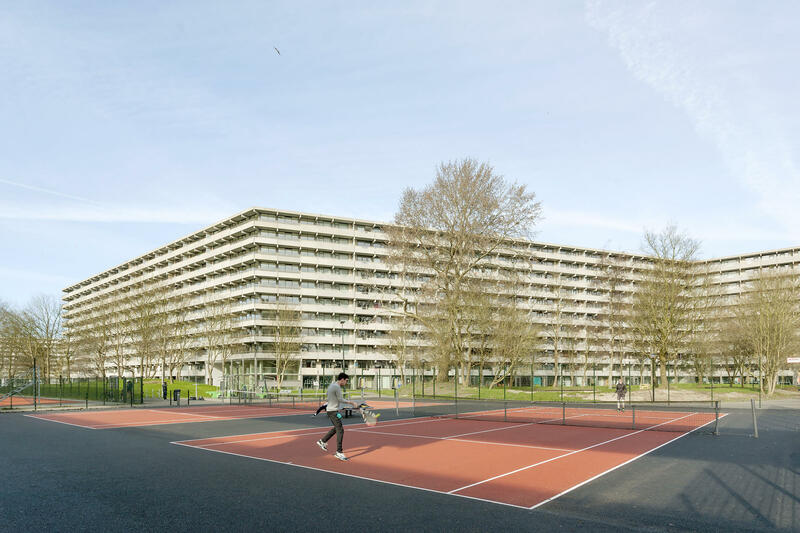 Driven by heavily economized execution, bad publicity, a lack of understanding, poor maintenance and the sudden emergence of a new residential dream type – the suburban home – the Bijlmer turned into a slowly disintegrating parallel universe. A renewal operation started in the mid-90s. The characteristic honeycomb slabs were replaced by mostly suburban substance, by “normality”. However, it was decided to keep the most emblematic area intact, flanking the stunning, forever-futuristic elevated subway line. The so-called Bijlmer Museum came into being, a compact refuge for Bijlmer Believers. Kleiburg is the cornerstone of the remaining ensemble. Housing Corporation Rochdale, however, had plans to demolish it. They calculated that a thorough renovation would cost about €70 million. But bulldozing the masterpiece by architect Fop Ottenhof would have led to a collapse of the magnificent urban composition. In anticipation of fierce resistance from “believers” and pressure from the local government, which hoped to avert demolition, Rochdale launched a campaign to rescue the building: Kleiburg was offered for €1 in an attempt to catalyze alternative, economically viable plans. Over 50 parties responded with a range of ideas, from student or elderly housing to live-work units, or homes for the homeless. Four teams were selected to further develop their ideas. 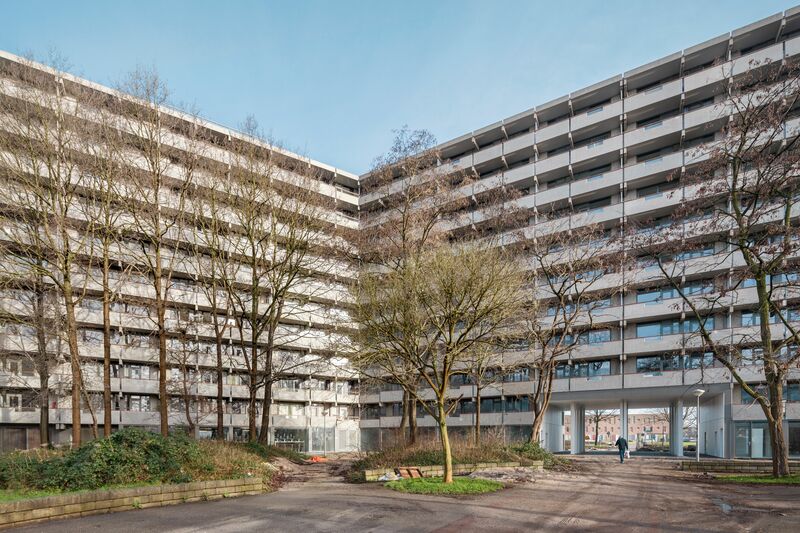 Ultimately, Consortium De FLAT – consisting of KondorWessels Vastgoed, Hendriks CPO, Vireo Vastgoed and Hollands Licht – was chosen with their proposal to turn Kleiburg into a Klusflat. “Klussen” translates as do it yourself. 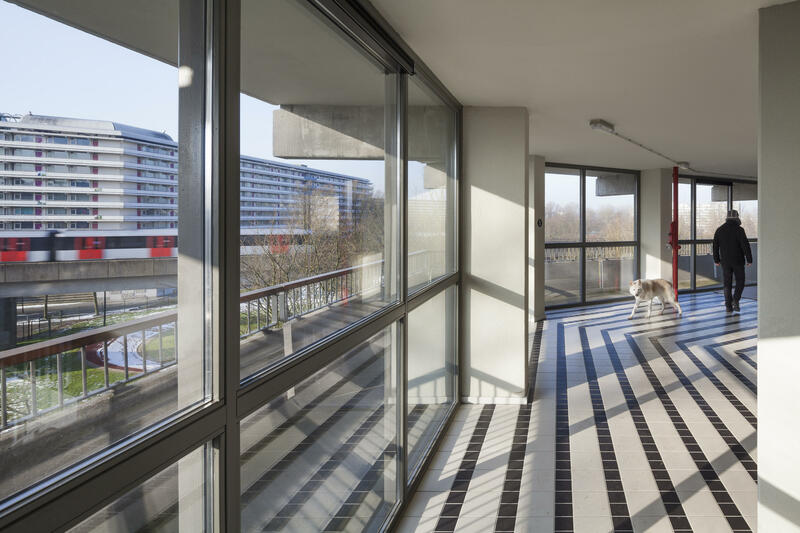 The idea was to renovate the main structure – elevators, galleries, installations – but to leave the apartments unfinished and unfurnished: no kitchens, no showers, no heating, no rooms. This would minimize the initial investment and, as such, created a new business model for housing in the Netherlands. 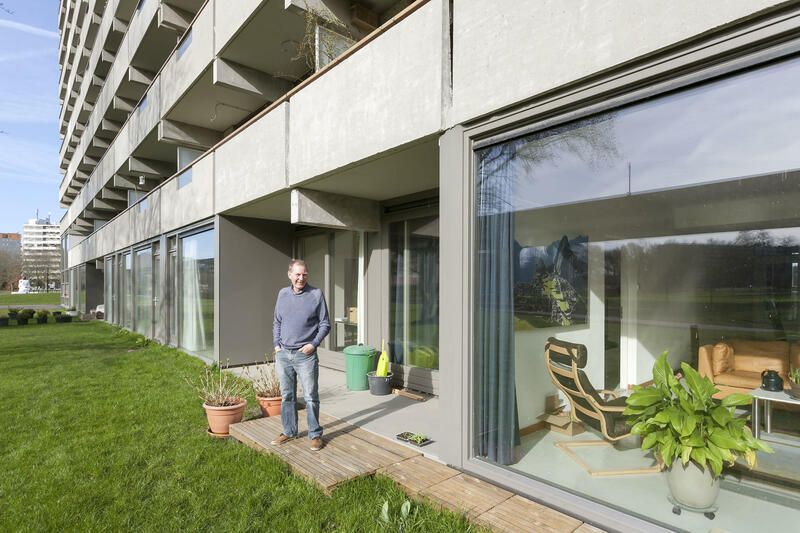 The goal was to foster new ways of living, to offer new typologies by combining two flats (or even more!) into one, by making vertical and horizontal connections. By many, repetition was perceived as evil. 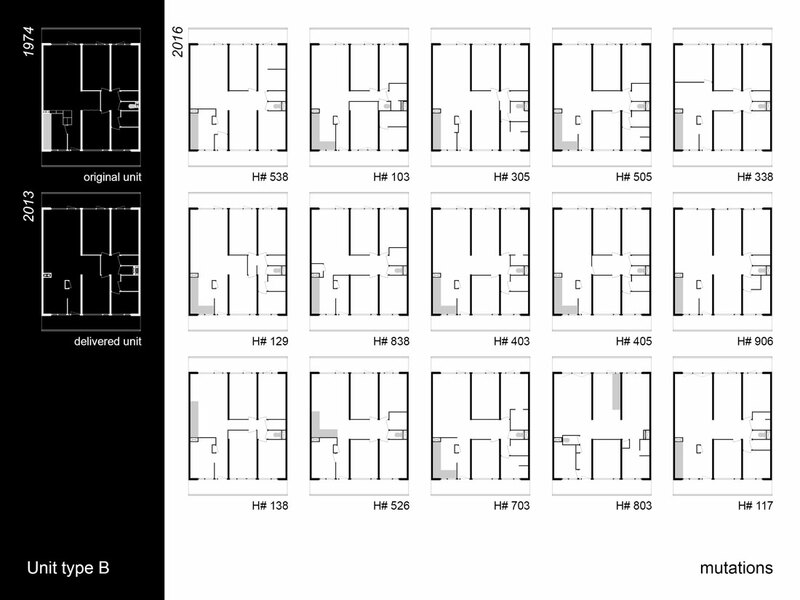 Most attempts to renovate residential slabs in the Bijlmer had focused on differentiation: the objective, presumably, was to get rid of the uniformity, to “humanize” the architecture. But after two decades of individualization, fragmentation, atomization, the idea of actually strengthening unity seemed attractive: Revamp the Whole! It was time to embrace what was already there: to reveal and emphasize the intrinsic beauty, to Sublimize! In the 1980s, three shafts were added on the outside featuring extra elevators. 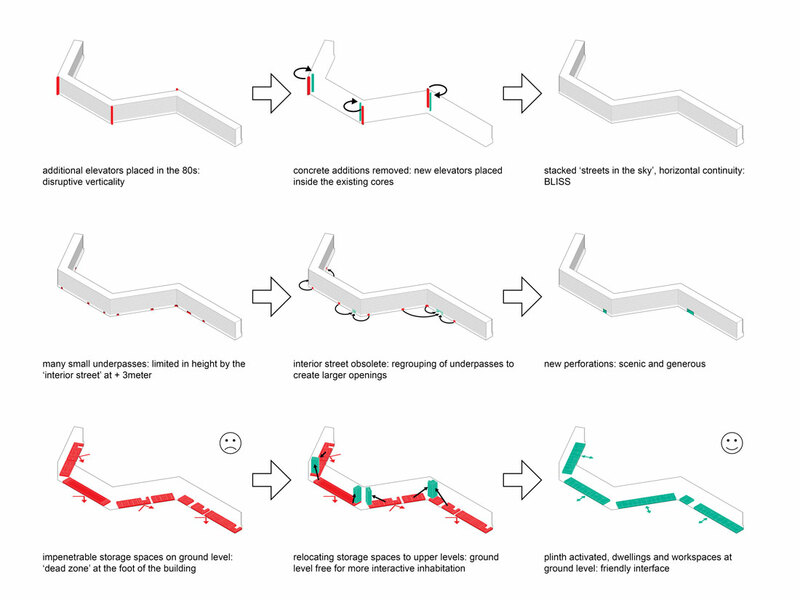 Although they look “original”, they don’t belong there; they introduce disruptive verticality. But it turned out that these concrete additions could be removed. There was still enough space in the existing shafts; new elevators could actually be placed inside the existing cores. And the brutal beauty of the horizontal balusters could be restored! Originally the storage spaces for all the units were located on the ground floor, creating an impenetrable area – a “dead zone” at the foot of the building. 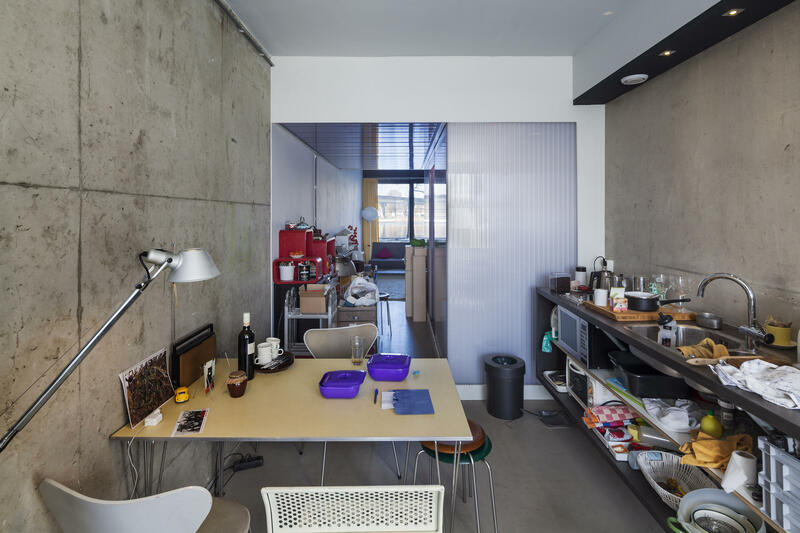 By relocating the storerooms to the upper levels near the elevators, the ground level could be freed up for more interactive forms of inhabitation: apartments, workspaces, daycare. As such, the plinth would be activated: a social base embedded in the park. The interior street that served as the connector between parking garages and elevator cores was a fundamental ingredient of the Bijlmer. It was located on the first floor at plus three meters and forced the underpasses to become low. And unpleasant. But since lowering the elevated roads was one of the central ideas of the renewal of the area, the inner street became obsolete. Now larger openings could be created connecting both sides of the building in a more scenic and generous way. On the galleries the division between inside and outside was rather defensive: closed, not very welcoming. There was room for improvement. The opaque parts of the façade were replaced with double glass. By opening up, the façade becomes a personal carrier of identity (even when curtains are closed). 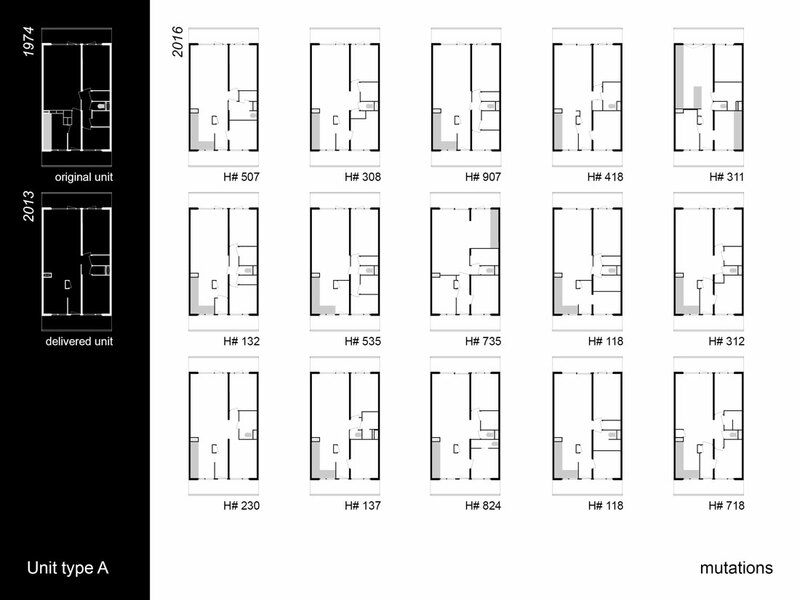 In addition, a catalogue of façade modules was created from which the future inhabitants could choose a set of window frames that would match the customized layout of their FLATs: openable parts, sliding doors, double doors, a set-back that creates space for plants or people. As such, a personal “interface” could be created to activate the galleries. Gallery illumination has a tendency to be very dominant in the perception of this type of single loaded apartment buildings. The intensity of the lamps that light up the front doors on the open-air corridors overrules the glow of the individual units. The warm “bernstein” radiance of the apartments is obscured behind by a screen of cold lights. What if all gallery lights worked with energy-saving motion detectors? Every passer-by a shooting star!